Get a 3kg bag of organic oranges (mine contained 14 large oranges). Halve them and juice them (save juice). Scoop out the remaining pulp with a spoon (dump pulp). Rinse them, then shred them finely in a food processor. Put in to a large bowl filled with water and leave to soak overnight in the fridge. Drain then transfer to a heavy based pot, cover them in clean water and simmer uncovered for 1.5 -2 hours, checking regularly and topping up with a little of the orange juice or water if water level starts to run too low. Add 3 cups of white sugar, stir, and keep simmering gently (not boiling), for another 4 hours (or more, until peel is very tender), continuing to check regularly if more fluid is needed. Note: you do not want the sugar to caramelise and go brown, so make sure you regularly check it doesn’t start to bubble too furiously or the fluid doesn’t get too low. When the peel is soft enough and the liquid has thickened slightly, turn off the stove and allow to cool down before refrigerating. Note: you can sterilise jars and preserve it (if you’re good at that) but we go through this within a week or two usually so I just keep it in a container in the fridge. You could definitely double the recipe. Delicious on slices of cheese, ricotta, cottage cheese, thick greek yoghurt or home made vanilla ice cream. Emma, why does it need to be soaked overnight? Serge, from the cookbooks I’ve read, the soaking helps to lessen the bitterness of the peels, release the pectin, and reduce the cooking time overall. Hello Emma, thanks for this. Are you sure Ray Peat would eat the peels as well? I thought it was for releasing the aroma and the chemicals only. Those quotes were directly from Ray, Marco. Yes, he does eat a lot of homemade marmalade! hello and merry xmas Emma. 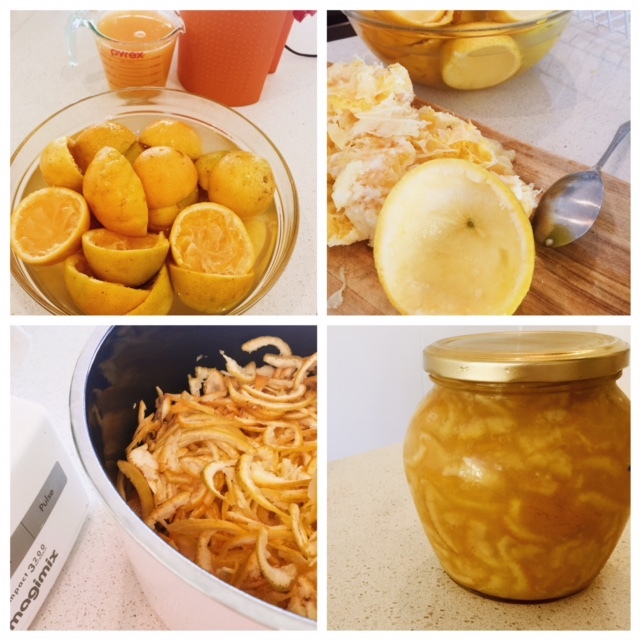 I have made a lemon cordial which contains; organic lemons; some of the skin,rind and juice and white sugar. Would this have the same benefits?? Hi Patrice, thank you and Happy Christmas to you too! Thanks Emma. Wow, thats a huge difference between the two. Will definately look out for some organic oranges. 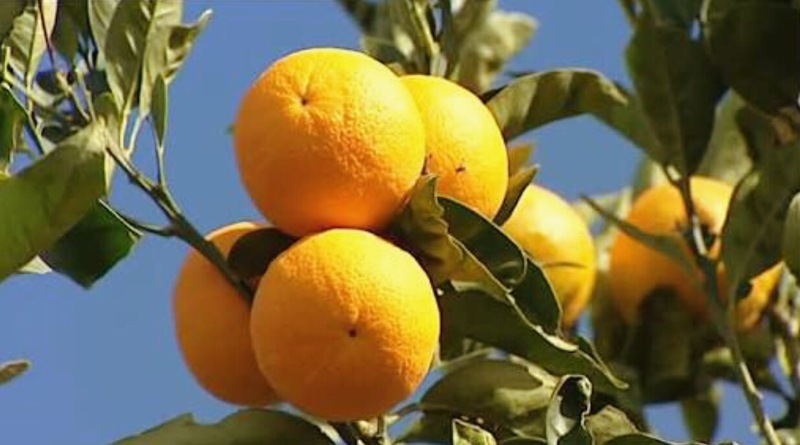 Must start planting orange trees!!! Hi Emma! How much liquid do you want to have in the pot at the end of the cooking time? When I made this recently for the first time, mine had very little liquid at the end, and the finished product doesn’t look quite like yours…it doesn’t seem like the pieces of orange peel are sitting in much of the orange jelly that it appears to be in the jar you photographed. Rachel you’d just need to simmer it for longer; maybe even another hour or so. More important to go by look and feel. Your pot might be lighter-based, your hot plate flame might be larger … You need to watch it and stop when you are happy with the consistency, and/or add more liquid as it reduces. Chris it’s a Bodum Bistro Citrus Juicer. Not sure if they’re still making them, but if you can track one down I highly recommend it. Sturdy, and it strains the pulp out well also. Do mandarins have narigenins and flavonoids too? It would be a lovely marmalade.